Capital Reefs National park is one of the national parks we skipped during our last Southern Utah road trip. 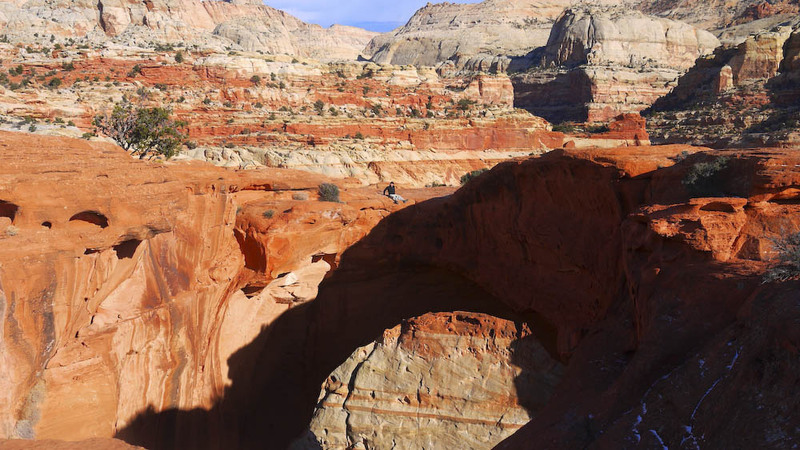 Besides Zion National Park, this is the next closest national park to Bryce Canyon. 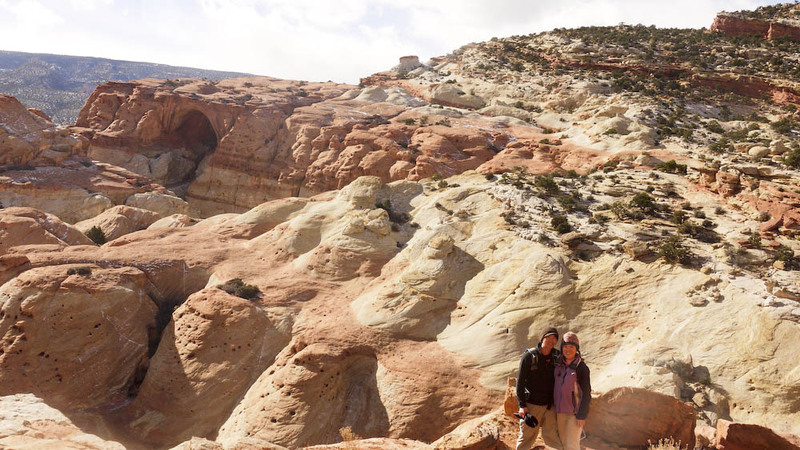 Located about 110 miles away from Ruby’s Inn Best Western in Bryce Canyon, we headed out for a day trip at Capital Reef on our third day in Southern Utah. Located in Torrey, Utah, Capital Reefs National Park was pretty dead in late December. If you choose to visit this area in the off season like us, make sure to bring your own lunch and a full tank of gas as most of the facilities in Torrey is closed for winter. 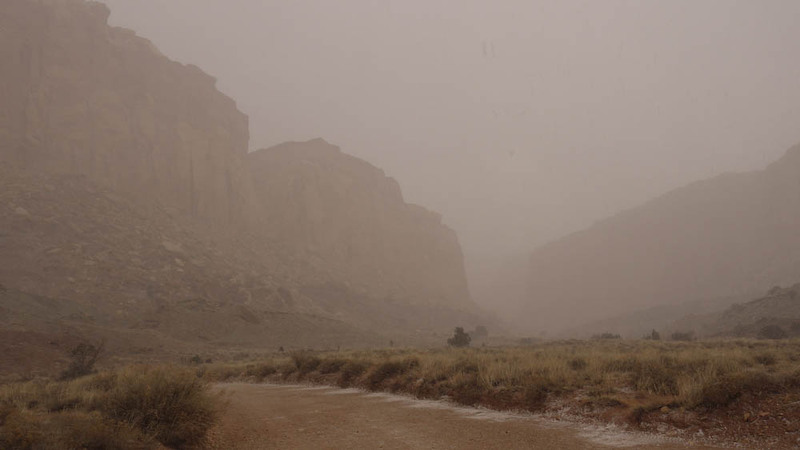 Due to bad road conditions, we arrived Capital Reef a little before lunch. 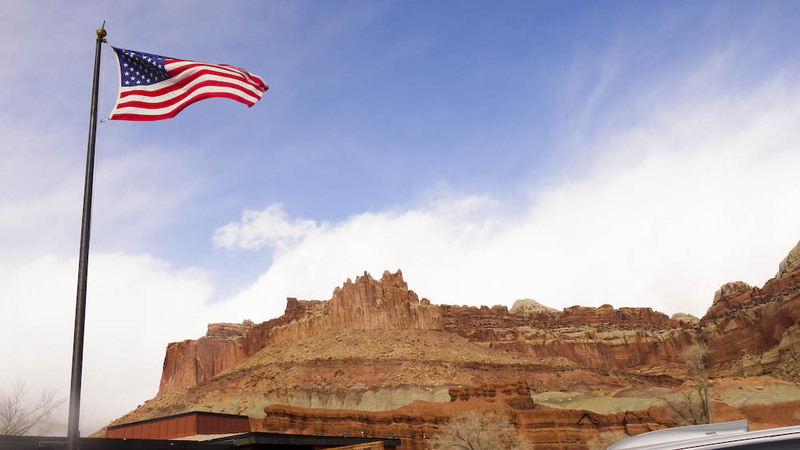 The entrance fee to Capital Reef was only $5 and a scenic drive through the park is definitely encouraged if you are short on time. 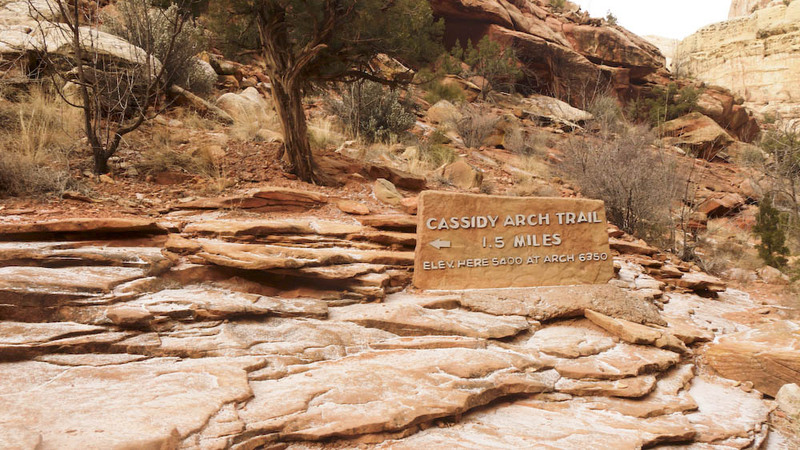 We opted to do hike the Cassidy Arch. Thankfully the weather let up once we arrived inside the park. Cassidy Arch was beautiful hike. It is a steep ascend at the beginning of the trail. Make sure to bring plenty of water in warm weather as the trail is very exposed to sun. Once you’ve gained all the elevation, you can see the arch about 1.5 miles into the hike. 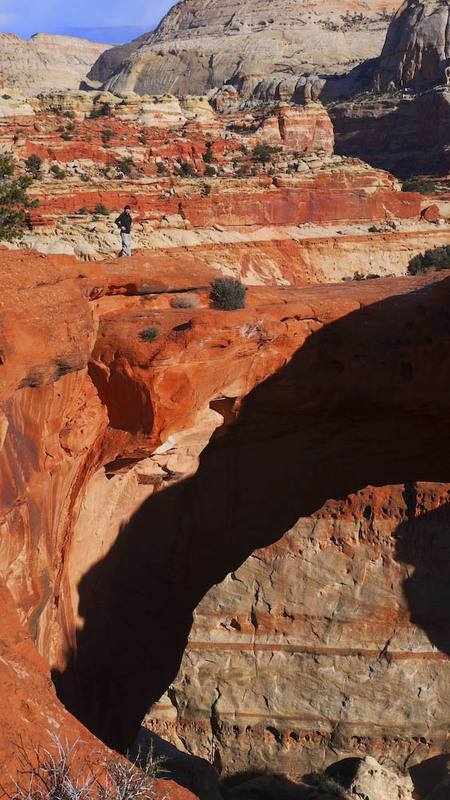 You are rewarded with a majestic view at the end of the trail and can actually stand right on top of the arch! Louis running away from the narrow arch. Did I mention he is terrified of heights? 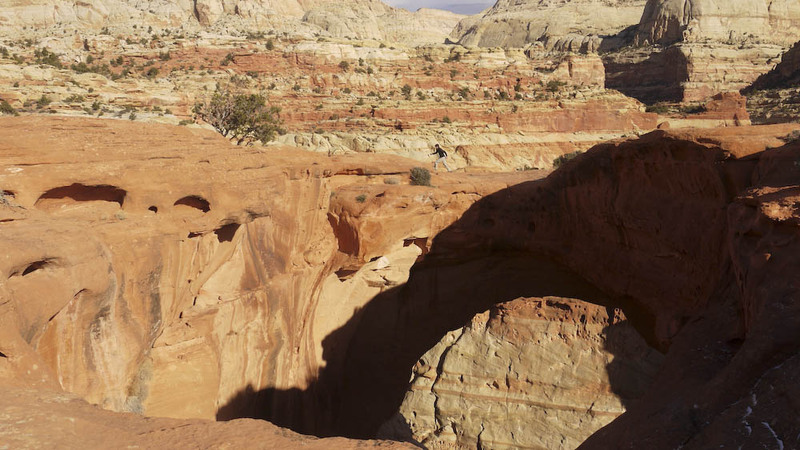 This entry was posted in Hiking & Backpacking, Trail Reports, Travels and tagged Hiking, nature, Travel, utah by hikenoworklater. Bookmark the permalink.